I’m always amazed to see representations of lions. Between St. Mark the evangelist’s symbol, Daniel in the den and St. Jerome befriending a lion, you can see lions quite frequently. Having been decimated in Europe and North Africa by the Romans for sports, there were very few living lions for artist to observe in most parts of Europe. As a result they tend to look like dogs, bears and even bulls with which locals were more familiar. Flemish master Rogier van der Weyden (1400-1464) had a staggering skill for realistic portraiture. 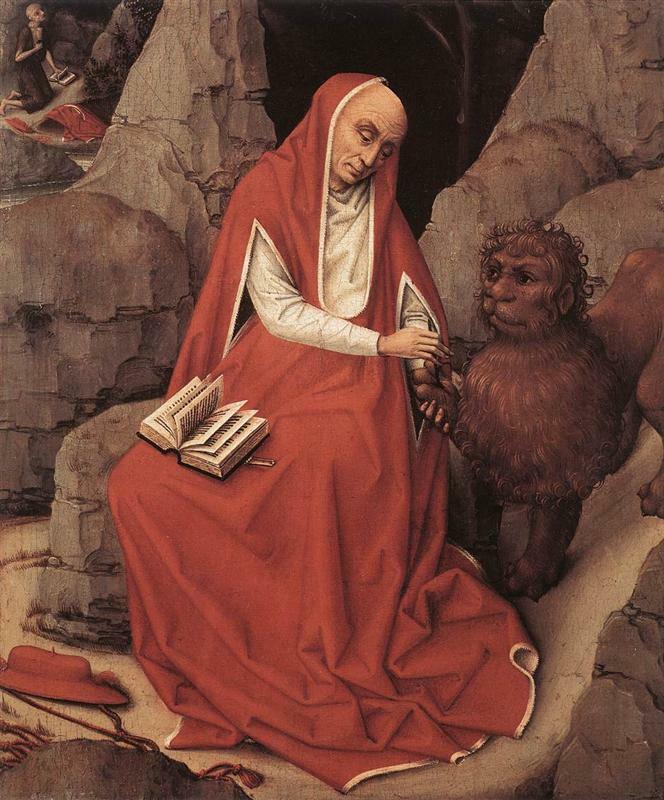 St. Jerome and all his wrinkles are softly rendered below in “Saint Jerome and the Lion”, but the lion itself is nothing like a real animal. In fact, the lion has such human eyes, nose and hair style that this almost looks like a person in a lion costume. 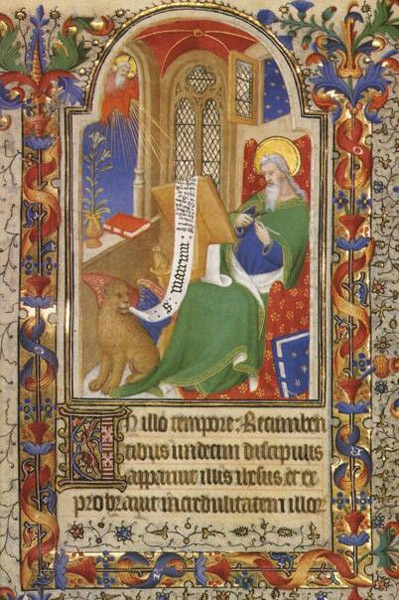 In the illuminated manuscript below, we see that lions can look like a bear or a dog too. The symbol of the St. Mark is now the evangelist’s best friend! Even a simple decorative lion can be poorly drawn. In this 18th century Delft Charger that recently sold at auction, the “lion” looks like a meaty sheep with a beard. 18th century “Dutch Delft Charger with Lion and Gate Decoration”, Skinner Auctions, March 3, 2013. I wish I could find a picture of it, but the ceiling of the Salzburg Cathedral has a lion that looks just like a bull! 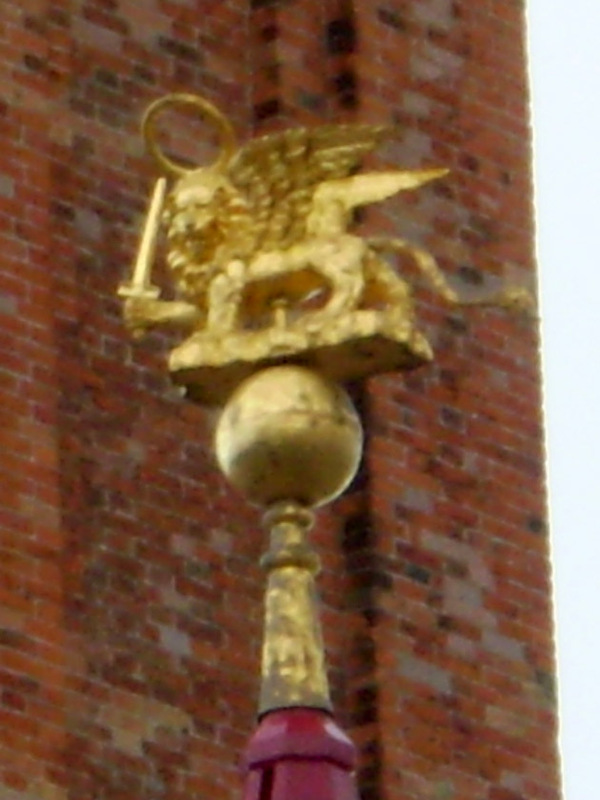 Compared to the bull pictured with St. Luke, St. Mark’s “lion” really is just a cow with a mane. It makes sense. Austrians definitely knew what bulls looks like but had only a faint understanding of lions and so they adapted something they already could paint. 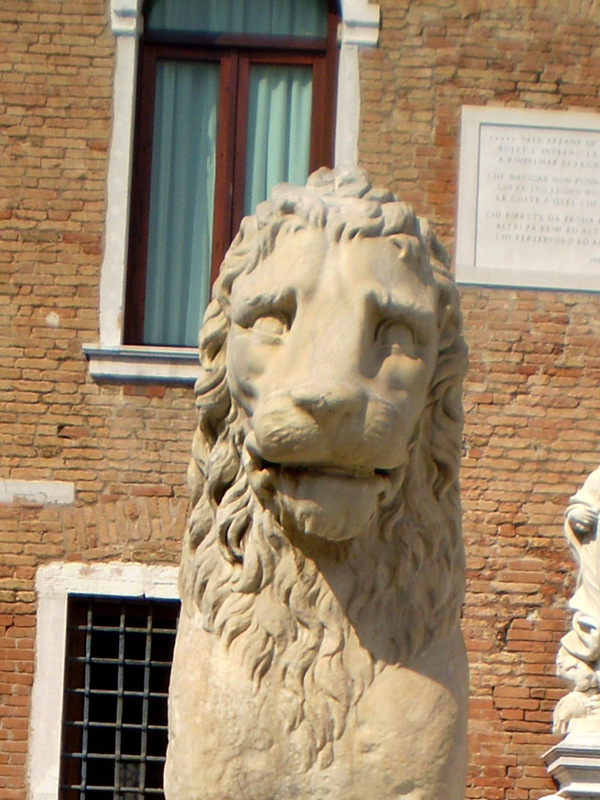 As the city of St. Mark and an important trading center, Venice had both a duty to depict lions with some accuracy and the ability to get specimens or quality drawings from others. You’d think Venice would have excellent lions then, but not quite. Not every lion in European art is so awkward looking. 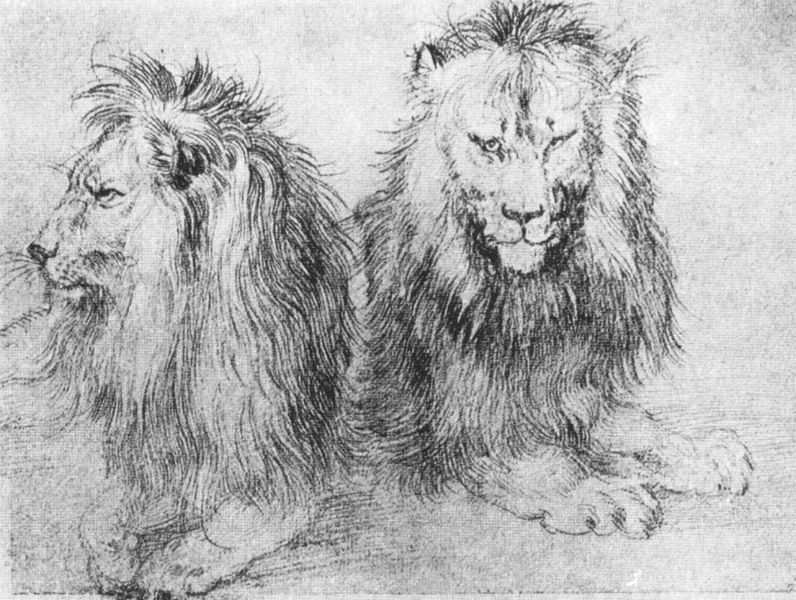 Some of best Renaissance drawings of lions came from in life sketches. While unfinished, Leonardo da Vinci’s St. Jerome in the Wilderness accurately renders the haunches and repose of a living lion. Durer’s sketches were taken from an animal in a royal menagerie. There are obviously stylized lions in the art of Japan, Assyria, Greece and other cultures that don’t look natural at all but have there own beauty. What I’ve tried to point out here are places where the artist was trying for a realistic representation but created something entirely unique for lack of a living model. Keep you eyes open for oddly drawn lions next time you travel! Great post, Christina. Now that you mention it, I did see a very odd lion in the mosaics on Torcello, Venice. 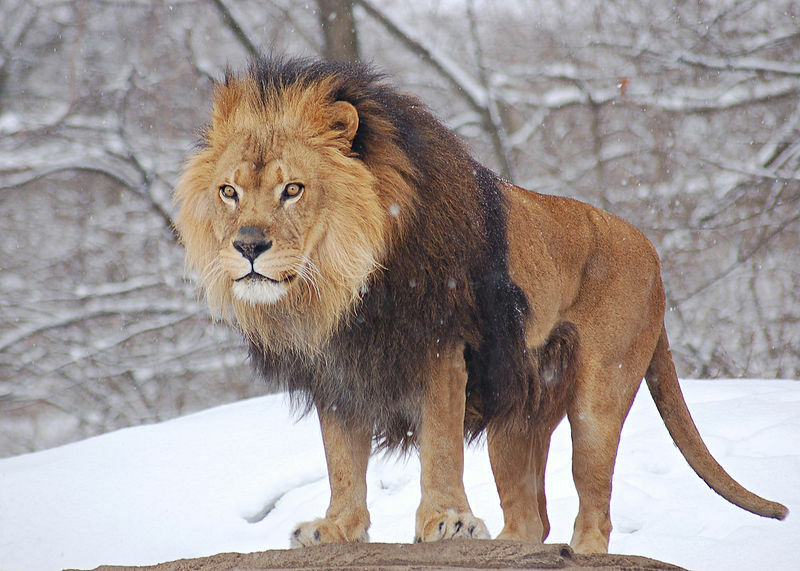 Thanks for posting the photo of a real lion to compare. I can’t recall the last time I’ve been to a zoo and actually seen one. That lion on the charger is, well, um, special. I’m actually so used to the stylized look of medieval lions that I kind of forgot that they were making it up as they went. It’s kind of funny that Durer’s lions look so real, but his rhino looked like it was wearing armor. I wonder how much the charger sold for. Durer’s Rhino was one of my favourite works because of the use of his imagination. I’ve been to Venice and Vicenza- since Vicenza was part of the Venetian empire at one point they have the two columns within their city centre like Venice has along the water within San Marco’s Square. The lion is my favourite of the two columns. I was in the Museo Correr which has on old nautical flag with the lion with a closed book which symbolized that the Venetian empire was at war. The lion was very stylized and beautiful in my mind. I also love the statue of King Victor Emmanuel II where there are women and lions on either side, one posed to strike and the other gnawing through chains. Thanks for this fun post. From now on I will be on the look out for unique lions.